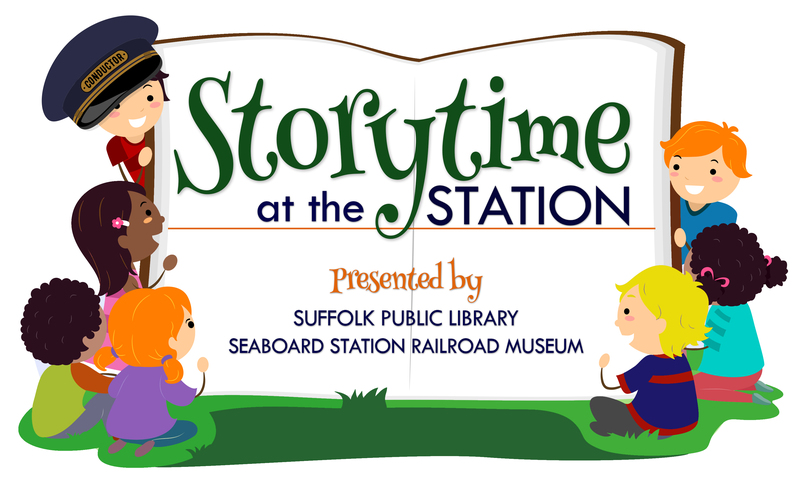 Join SPL at the Suffolk Seabord Station Railroad Museum for a storytime and activities. Space is limited and reservations are encouraged. For information or to make reservations, contact the Seaboard Station Railroad Museum at 757.514.4135 or VisitSuffolk@suffolkva.us. Suffolk Tourism is partnering with the Suffolk Public Library for a summertime “Storytime at the Station” series. This fun interactive storytelling program is geared toward children ages three to seven. Storytime at the Station will be conducted on the porch of Seaboard Station Railroad Museum. Blankets or beach towels for comfortable seating are welcome. Each month a different book will be read followed by a themed craft and the opportunity to explore the museum (children must be accompanied by a parent or guardian).